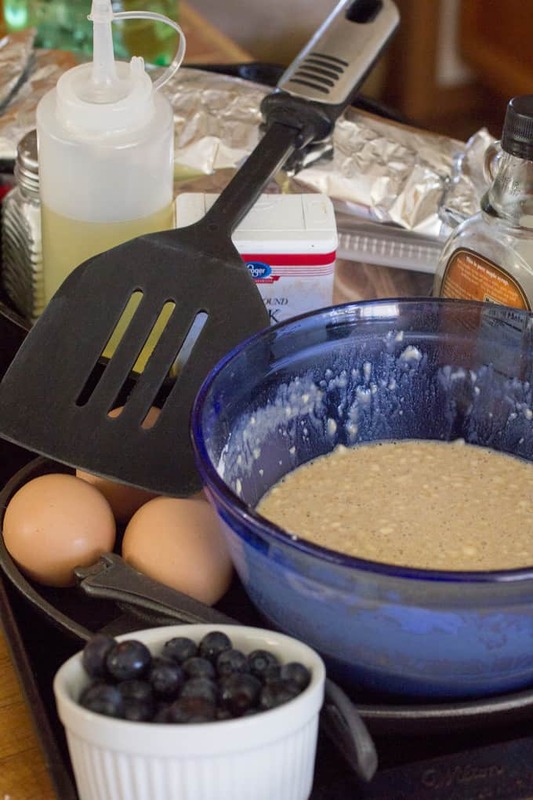 Ever wonder how you can make an entire breakfast, all on your grill? Wonder no more! 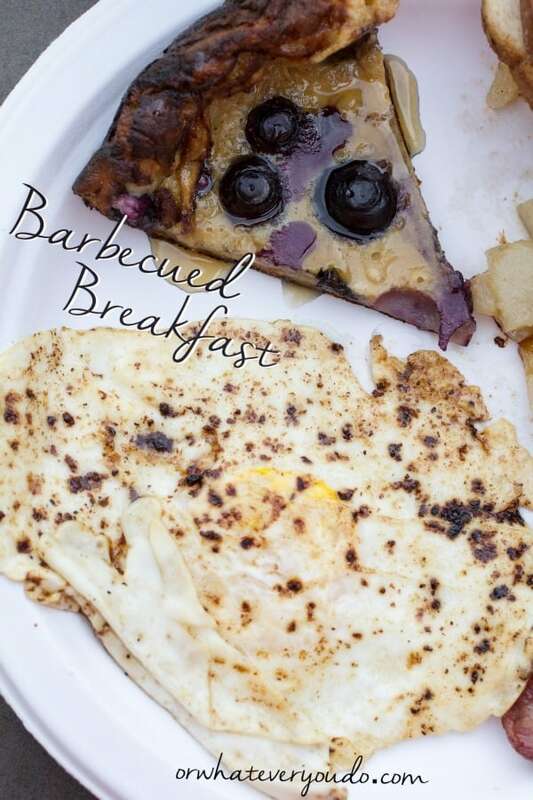 This barbecued breakfast is going to show you the way. I am going to show you here how to grill your ENTIRE breakfast, from pancakes, to eggs, to potatoes. This is perfect for camping, or for a morning when you don’t want to be stuck in your kitchen. 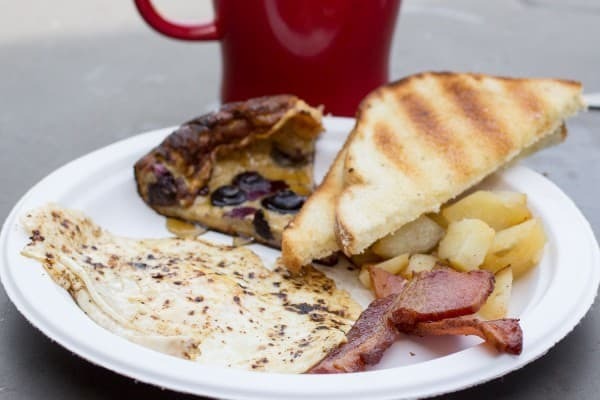 Grab your coffee, head outside, and get that grill going because breakfast has never been better! You’ll need a couple of “special” tools for this. A cast-iron pan or two would be super helpful. We’re going to make a giant oven pancake in one, and cook our bacon on the other. If you only have one, do double duty on it and cook the bacon first, and the pancake last. Or vice-versa. Whatever works for you works for me! You’ll also need a metal spatula, and also a spatula that’s good for egg flipping. GOOD pot holders, or grilling gloves would be amazing as well for grabbing those soon-to-be HOT handles on the cast-iron skillets. Before you head out, you have some indoor prep and assembly to do. 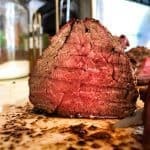 So get your coffee brewing and do the following prep before you head out to your grill. This will (hopefully) eliminate the need to be running in and out, thus ruining your coffee-drinking, morning loving, grill cooking time. Dice 2-3 medium sized washed and peeled potatoes, and slice some onions up to go with them if that’s your thing. 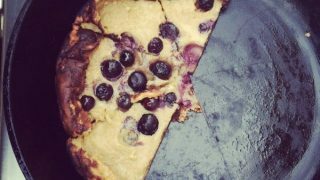 Mix up the oven pancake batter, and get your berries out and ready to toss in. Grab the number of eggs you need and get them ready to bring out. If you prefer scrambled, do the scrambling now. Assemble your seasonings. I will bring out simple salt and pepper for my eggs, the rest will be seasoned inside. Get some butter ready to bring out! You will need it for the pancake pan, and for your toast. Toss all of this, or as much as your possibly can, onto a large cookie sheet or tray. Grab your bacon and your bread for toasting. 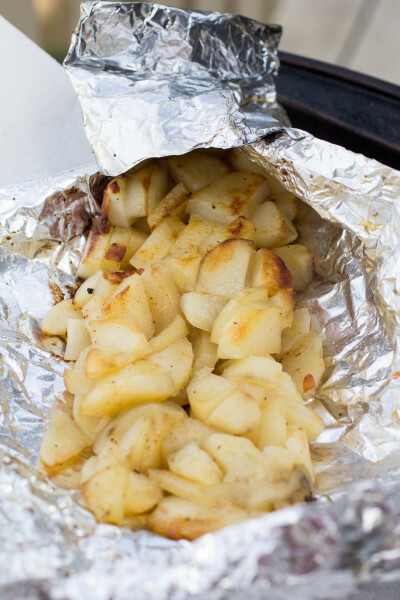 You are going to want to start your potatoes first, and to do that we’re going to get some good old foil packet potatoes going. 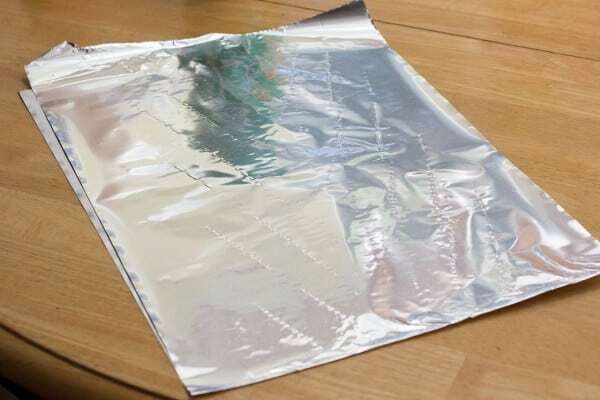 Unroll a large rectangle of tin foil, and then fold it in half to double it up. You want it about as big as a large cutting board, or cookie sheet. 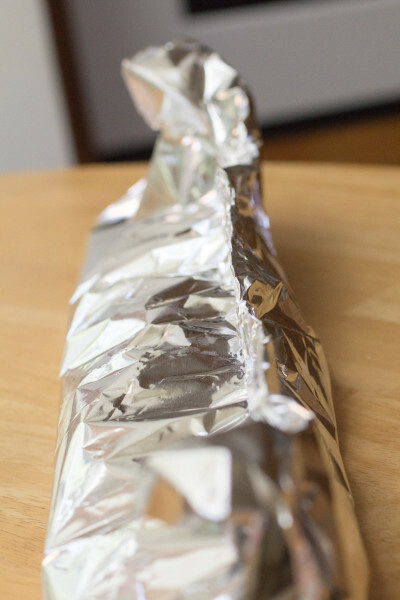 Spray the foil with baking spray, and then drizzle some oil on it. 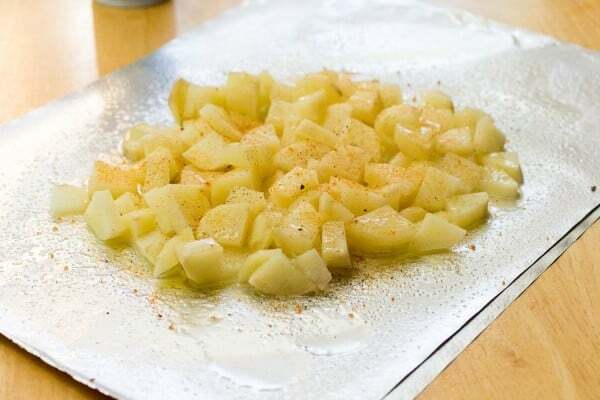 Layer in diced potatoes and onions, and season liberally with seasoning salt (Johnny’s and Lawry’s are my favorites! ), onion powder, and a few shakes of pepper. My secret for these potatoes is to microwave them after they are cut for about 2 minutes. You want them hot and just a little bit soft. 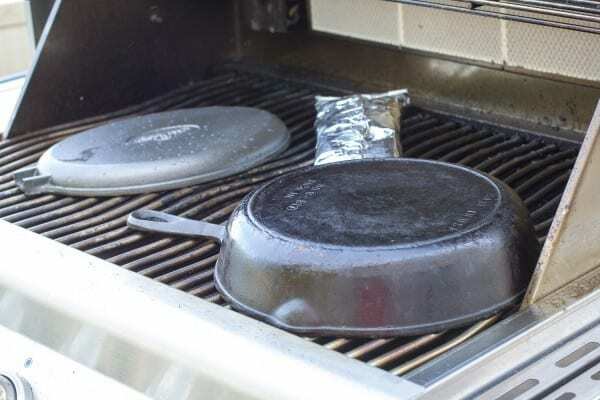 It shortens the cooking process on the grill, and makes things a whole lot easier. This step is entirely optional, but I LOVE it. 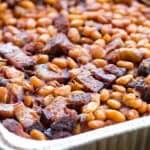 If you are camping and don’t have access to a microwave, please feel free to skip it, but increase the potato cook time by at least 10 -15 minutes. Some diced bell peppers would also be great in this! It doesn’t matter really what kind of potatoes you use. I prefer reds for almost everything but baked potatoes, but your milage may vary. My husband is a big russet fan, which is what we’re using today. Drizzle some more oil on top, and then fold up the sides of the foil until they meet. Seal shut by folding over onto itself several times. Crimp the sides together, and if there’s room, squeeze this onto your tray and head outside! Now that you are set up, get your grill fired up and sit down and drink some more of that coffee while it preheats. Make sure after it is heated you give it a good scrub with your grill brush, and then place the foil packet over indirect heat. 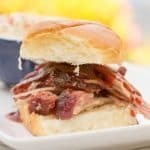 We’re going to run the grill at about 375-400 degrees this morning, but you can heat it up hotter than that during the initial warm-up to burn off yesterday’s dinner, and get everything cleaned and good to go. 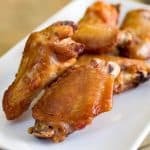 If your pans need a bit of seasoning, lightly rub some oil on them and stick them in the grill while its getting good and hot. Start the bacon, and cook as you normally would. When all of the bacon is almost done, melt a tablespoon of butter into the pancake pan. Pour in the batter and close the lid. Check often. You want the pan over low heat, and the grill temp when closed to be about 375. After about 7 – 12 minutes you will have this. When the center is set, remove from the grill and let cool for 5 minutes before cutting. Your potatoes should be about done too. 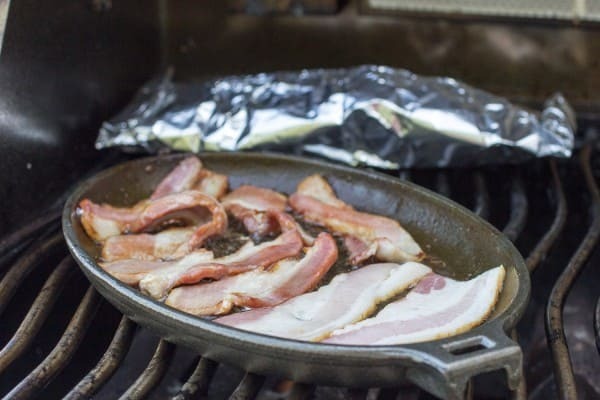 Next, dump most of the grease out of your bacon pan into a heat safe container. 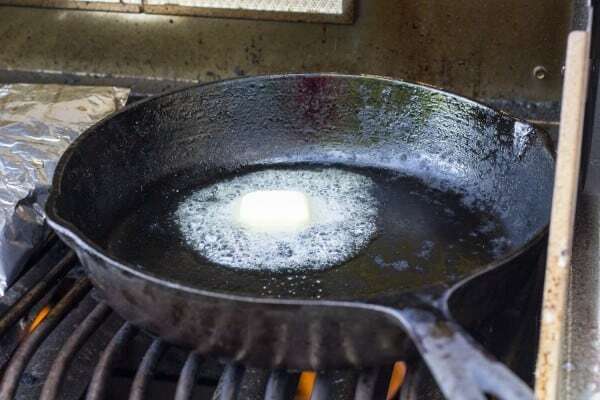 Place the pan back over medium heat, and get some eggs going! 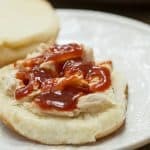 Get in on the latest cooking craze and break our your Instant Pot! When I was growing up, my Dad called these “Gnarly Eggs”. He made his over an open bonfire, but the basics are the same. 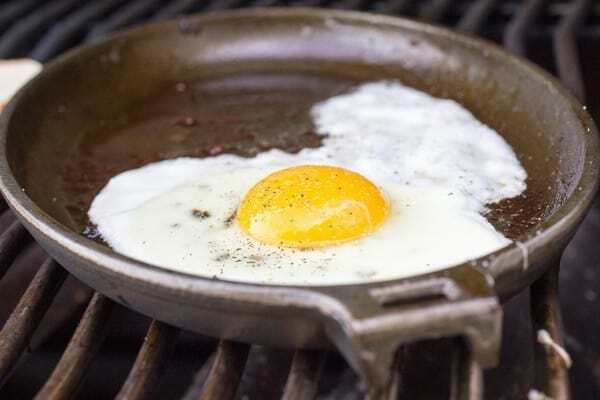 Eggs cooked in bacon grease in a cast iron pan over an open flame. YUM. Flip when the whites have set, and cook for another 30 seconds to 1 minute, or until the eggs are done to your specific liking. Look at those bacon leavings! YUM! 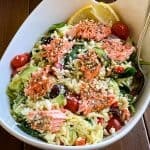 Plate it up and enjoy! An entire breakfast cooked on your grill while you sip your coffee and enjoy the view. 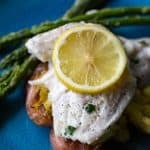 Similar to a Dutch Baby, but cooked on your grill! Mix the eggs, milk, vanilla, brown sugar, and cinnamon until combined. Add flour and whisk until there are no lumps remaining. 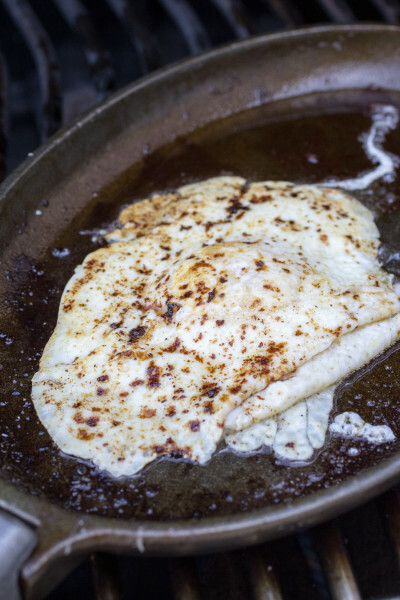 Preheat cast iron skillet in grill to 375 degrees. 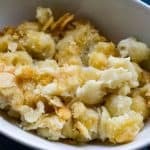 Melt butter in skillet and pour in batter. Add blueberries. Close lid. Cook on grill for 7-12 minutes, or until center of pancake is set. Check with a fork or toothpick, as center will still look slightly damn when it is actually completely cooked. Remove from heat, let cool 5 minutes, and serve with real maple syrup. I love your recipes above!! But may like to cook sticky buns or cinnamon rolls in the cast iron! Maybe even a frittata!! Endless possibilities!! 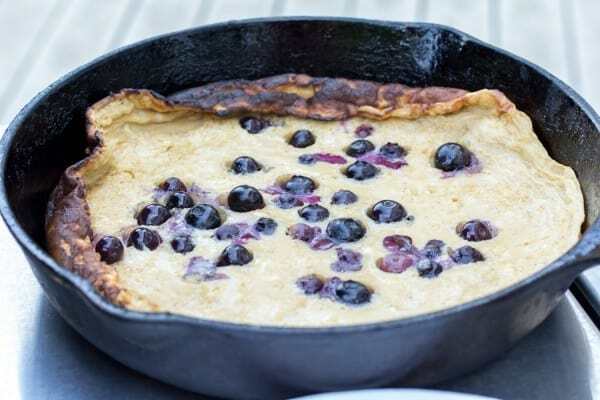 I would make a Dutch Baby/Pancake! You sure did! Signing up for one newsletter is signing up for both, so you are set there, and Sultana_of_sizzle is the Napoleon Grills account. Thanks for entering! I would cook a breakfast casserole with eggs, sausage, onions, green peppers and potato’s. I would make homemade cinnamon sugar tortillas with grilled fruit filling, yum yum! 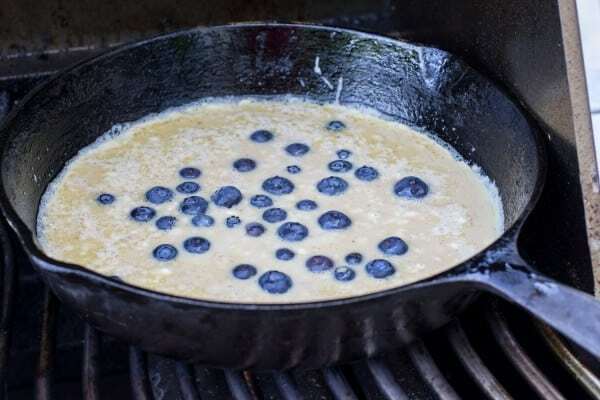 Cast iron is great in the kitchen or out on the grill. Fried potatoes with onions is one of my favorites cooked up in a cast iron skillet. 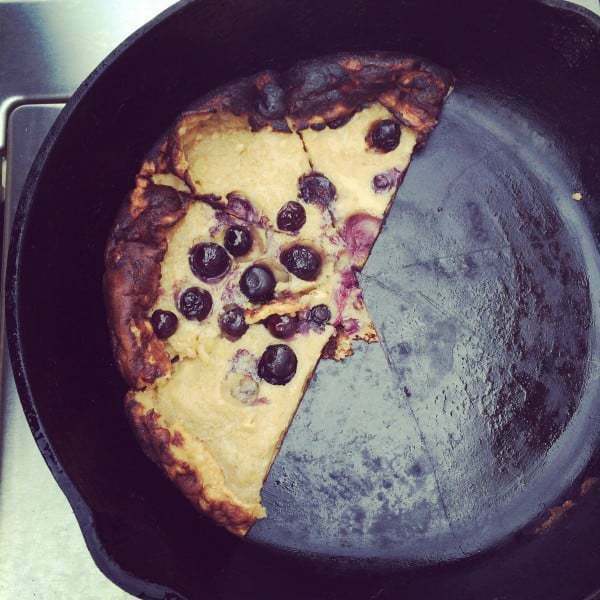 I would definitely try the blueberry pancake recipe you posted above. Looks delicious!! I cook absolutely everything on my cast iron so probably I would cook eggs the most but I love to saute veggies on my skillet! I’d made something with eggs or a dutch pancake! 😀 Thanks Todd!I appreciate it! Let me know when your site launches. I’d love to check it out!